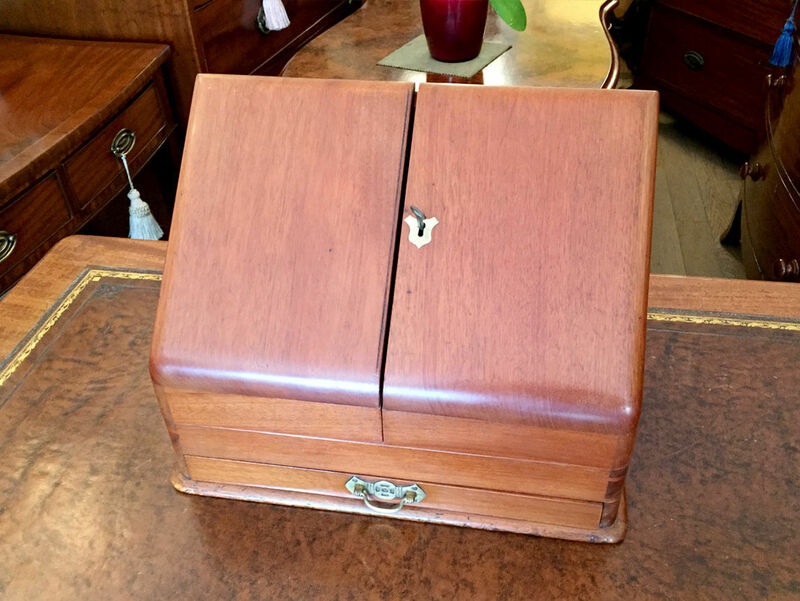 Victorian Mahogany Stationary Box with sloping hinged doors, enclosing letter compartment and a drawer. 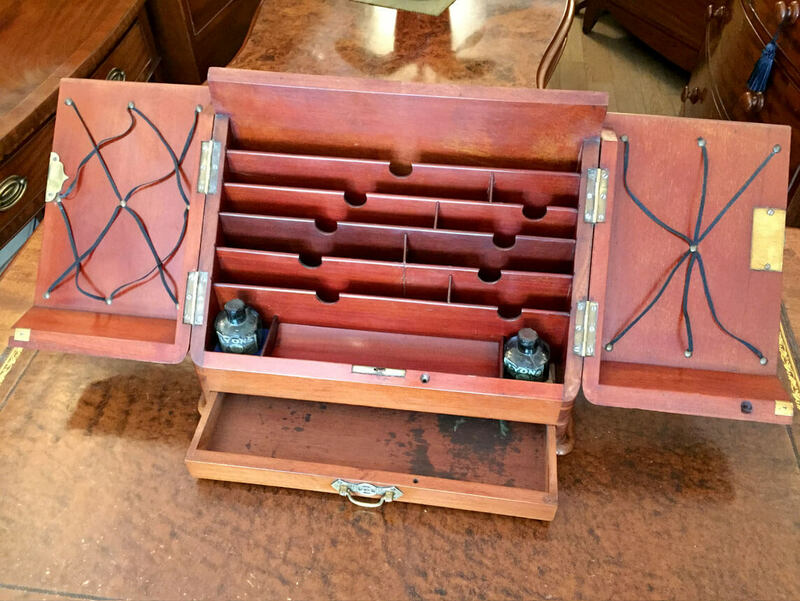 All fitted with original working lock and key. 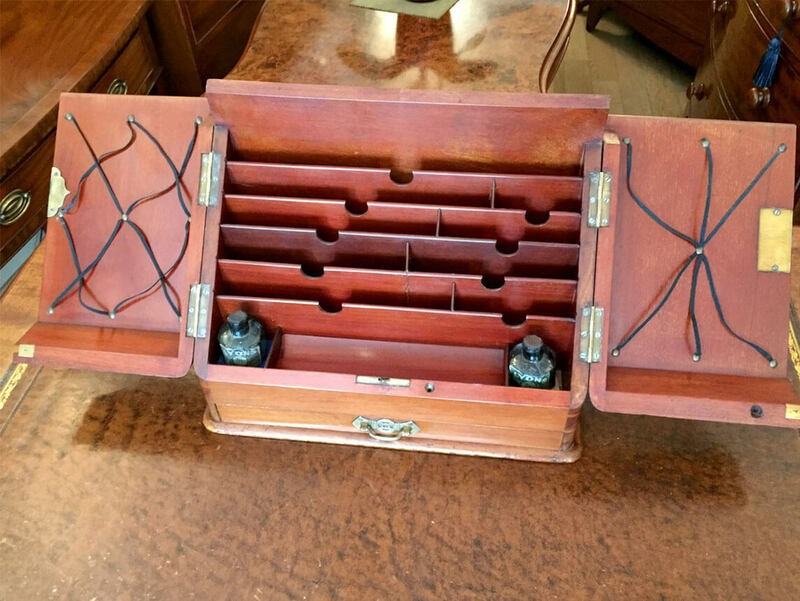 This Victorian stationary cabinet retains its original finish, colour and patina, it’s in excellent condition throughout, ready to place at home. Would make a prefect gift.